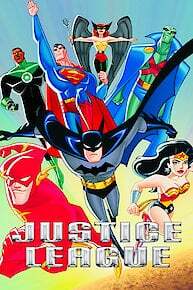 Justice League started out as an American comic book that combined the talents of a variety of DC comic superheroes that was out to save the world from danger, criminals and their arch enemies. The founding members of the team were Superman, Wonder Woman, and Batman. Other members of the team included the Green Lantern (Hal Jordon), the Flash (Barry Allen), Green Arrow, Aquaman, and the Martian Manhunter. Although there have been various versions of how team was formed, most of them agree that the Justice League was born when an alien invasion came to Earth to take over the world. After battling the aliens and winning, Superman decided that they made a good team and that together they could do a great job in protecting the world from evil. The Justice league had several members and had several teams around the world. Several things made the Justice League good show to watch. One thing was because there were quite a few members of the league you were introduced to most of the superheroes of the DC comics. Seeing them in the league and what their powers or skills were, you were curious to learn more about them, leading you to reading more about them and how they became the superheroes that they were. Another interesting thing was that the members of the Justice League had separate lives outside of the league including other friends and relationships. The most interesting relationships were the romantic relationships between the members. It was especially interesting and fun to watch how the romance started and how the members balanced working together with fighting crimes. Still another nice thing about watching the Justice League was that is a family oriented show that has something for everyone including creating values and a desire to do the right thing. Lex Luthor confronts the returning Gorilla Grood as his attempts to restore Brainiac nears completion, the effort paves the way however for the return of one of the darkest opposing forces in the Leagues' history. Shadow Thief and Hawkman return as Carter Hall tries to further explain his and Shayara's love so long ago. After Supergirl is kidnapped and taken to the 21st century she meets the new Legion of Super Heroes who tells her the day she was kidnapped was her final adventure. Due to financial difficulties, Roulette turns to Luthor for support, who inadvertently comes up with the idea of organizing an all female fights tournament made up of... Leaguers. An out of control vigilante by the name of General Eiling seeks vengeance at all cost, with his eye set on Metropolis, Green Arrow leads a seven non powered Justice League group which includes Shining Knight and Crimson Avenger, in a battle they hope to win. The spirit of a Circus acrobat arises from the dead, seeking help from Superman, Wonder Woman and Batman to retrieve a stolen soul of an mystic monk. During a museum event held and The Flash's honor, a gang or The Flash's past rogue gallery pays him a visit; including Mirror Master, The Trickster, Captain Cold and Captain Boomerang. With the help of Orion and Batman they must stop them at all cost. Wonder Woman seeks out to protect the remains of an Viking Prince from Legion agents who seeks it for reverse engineering and invunerability powers using Science. Meanwhile J'onn leaves the Justice League to better understand humanity. Stargirl, S.T.R.I.P.E., Supergirl and Green Lantern are mysteriously transported into the Earth's core were they help liberate Skartaris Deimos control, meeting up with some familiar villains in the process. After being incarcerated for nearly destroying the world and The Justice League under Brainiac's control, Lex escapes and is accompanied by an unusual ally who makes him a proposal can't refuse. Meanwhile the Justice League begin they're new stations, at the new Justice League quarter while looking for Lex Luthor. Taking place many years after Batman Beyond, Terry discovers that he is actually Bruce Wayne's biological son. He confronts Bruce about this, but Bruce explains that he never met Terry's mother until he was nearly eight. So Terry goes to see Amanda Waller, and by way of explanation, she describes a battle between the Justice League and a new Royal Flush Gang. The Flash proves supreme after the rest of the league falls to the hands of Brainiac who has now fused with Lex Luthor and has decide to take over the Earth. But in defeating Brainiac, the Flash calls on every iota of speed he can. As their battle concludes, the Flash discovers the speed force, and fades from view. Can the league save him, or will he join the Speed Force, granting Luthor a partial victory? After Superman defeats Captain Atom, after he is brainwashed by Cadmus. Superman decides to declare war on the once thought colleagues of America. Meanwhile Lex Luthor hacks the leagues main computer using the main weapons on Cadmus headquarters. Captain Atom is forced to fight his once comrade after he is recommissioned. Meanwhile the Question discovers the secret about the Justice Lords which may alter the foundation of The Justice League forever. After responding to a distress call Hawk Girls leads a group of new Justice League members including Vigilante and Vixen into a trap planted by the thanagarians who thinks she is responsible for their genocide. Captain Marvel is brought into the League, but when Superman believes Luthor planted a bomb under his new city, Captain Marvel begins to question his one time hero who is only deceived by Luthor's villainous plot. Huntress is kicked out of the league and Green Arrow and Black Canary must stop a mob boss name Tobias Whales from being killed by a vigilante self stricken Huntress and The Question. Shayara and Wonder Woman must reluctantly work together to restore order to the underworld after Felix Faust declares himself new ruler of the underworld. Wonder Woman also gains the power of her lasso. The Suicide Squad returns; five villains from the Justice Leagues past are sent by The Clock King and Amanda Waller to steal the annihilator from the Justice League Watchtower. Superman has his hands tied when he battles the more powerful then ever Doomsday in an erupting volcano and finds out Doomsday is an imperfect clone of Superman. Meanwhile Batman uncovers a mystery that may shake the very foundation of the Justice League forever. Big Barda and Mr. Miracle call apond Superman to help them find their incarcerated friend, but they get The Flash instead who then spice up their trip on a dying planet which is ruled by Granny Goodness. Green Arrow and Black Canary seek out to save Black Canary's friend and mentor Wild Cat, from an untimely demise during an underground super hero fight club match. And it came from his ex-wife. Holy Superhero Rumors, Batman! Will There Be a 'Justice League' Movie in 2013? With "Harry Potter and the Deathly Hallows: Part 2" soon to hit theaters and end the HP franchise, Warner Bros. is going to have to find a new cash cow to lean on. In a recent piece on new WB president Jeff Robinov, The LA Times has a theory on which direction WB will go: the direction of DC superheroes. The article states that Robinov is "aiming to release new 'Batman' and 'Superman' films in 2012 and 'Justice League,' a teaming of DC's top heroes, in 2013. Justice League is currently available to watch and stream on Cartoon Network. You can also buy, rent Justice League on demand at Amazon, DC Universe, Google Play, iTunes online.